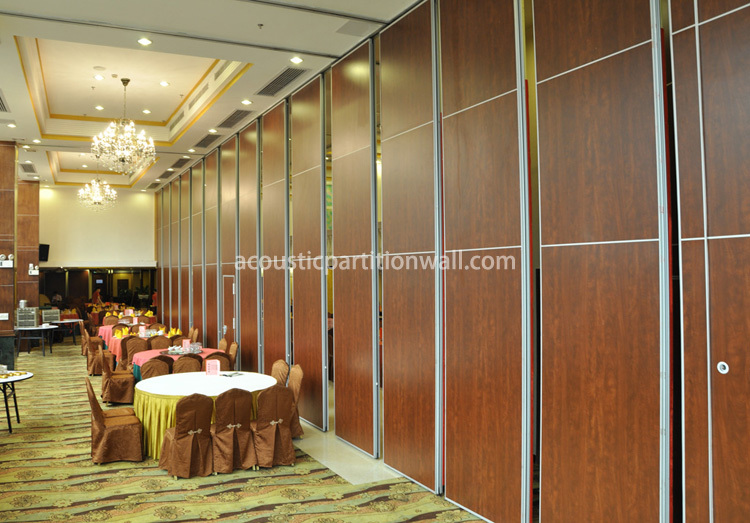 The pattern 80 acoustic partition is a flexible space dividing partition wall. 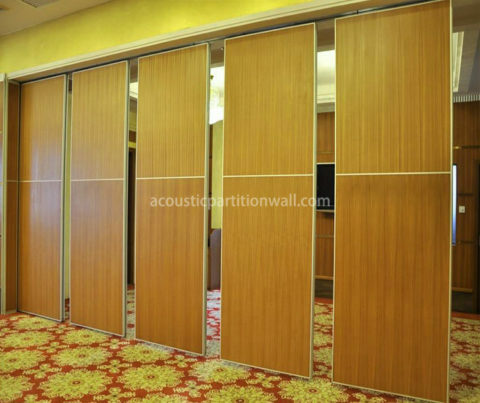 Unlike traditional fixed partition wall or floor track sliding partition system, our acoustic partitions system is a track-operated folding partition, based on an aluminum track on top. 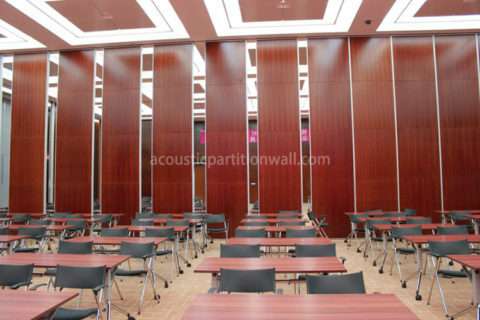 Besides, they are specially designed for noise reduction between the divided rooms. Whether it is in schools, hotels, community buildings or leisure centers, acoustic partition panels provide a simple and cost-effective solution for space planning challenges, wherever the space is. Both systems can be used as a single unit, or in pairs, using a standard aluminum alloy track. 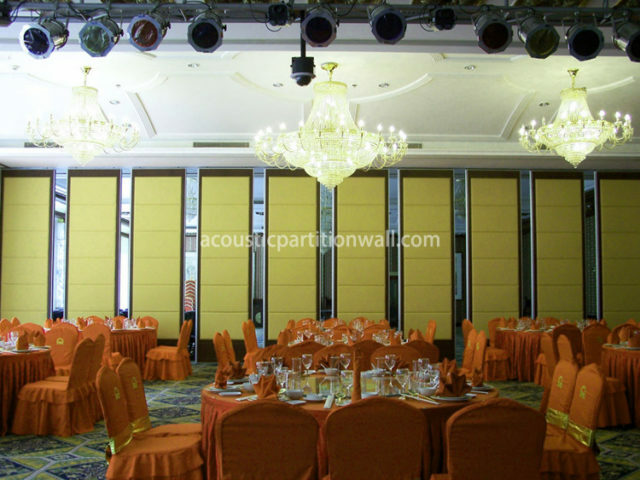 The acoustic movable wall solutions provide a 40dB level of sound reduction. Melamine laminated finish is available in dozens of modern colors, which is durable and easy to clean. Another popular finish for acoustical operable partition is fabric with soft foam inside. All acoustic movable walls are made for specific applications such as hotels, shops, inspection centers, multi-function rooms, stations, clubs, art centers, stadiums, sports centers, art museums, the court, convention centers, schools, conference centers, golf clubs, and so on. All soundproof partition wall systems are available in infinite width openings on straight or curved tracks. Special cross, ‘T’ and ‘L’ junctions can also be supplied. Access door is available.